Pictured is a lateral (side) BriteVu contrast enhanced image of a human cadaver head. The perfusion was completed by Dr Bruce Wainman (Education Program in Anatomy) at McMaster University. Vessels coursing over and around the skull are seen throughout the image. 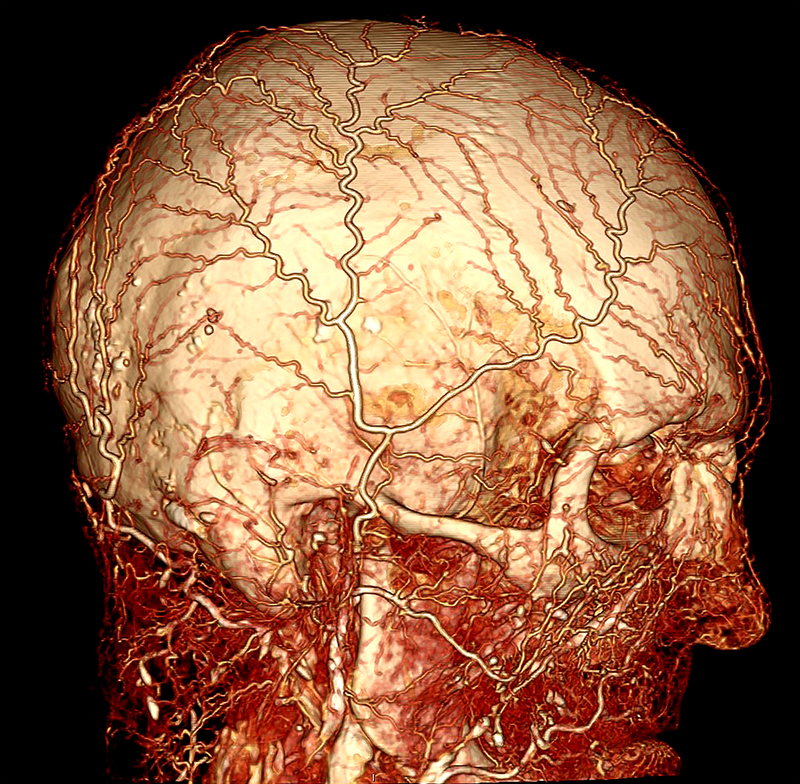 This type of study allows one to see the blood vessels in 3D and is very helpful for students, teachers, surgeons and others that want to know the location and orientation of the vascular anatomy of the human head. Understanding the location of blood vessels on the surface of the head can be useful for hair transplant, facial reconstructive, plastic and other surgeons. BriteVu Special Projects was used as the contrast agent. CT performed on a GE clinical scanner and 1 mm slices taken. The nose is to the right.